Warning! Never ever apply external power to any relay to see if it will operate!!! Many boards have sustained major damage this way!!! Tools: Digital Volt Meter with 10 amp capability and a notebook. An auto ranging DVM is best. Note: Make sure the 12 volt battery has at least 12.5 volts in it before proceding. A low 12 volt battery can stop a vehicle from booting up. 1. Disconnect the positive cable on the accessory battery under the hood. Then install a marine knife switch (insert pic) to the positive terminal of the battery. This will aid in debugging the Dolphin system. Leave the knife switch open for this section of testing, or just leave the 12v battery disconnected. 2. 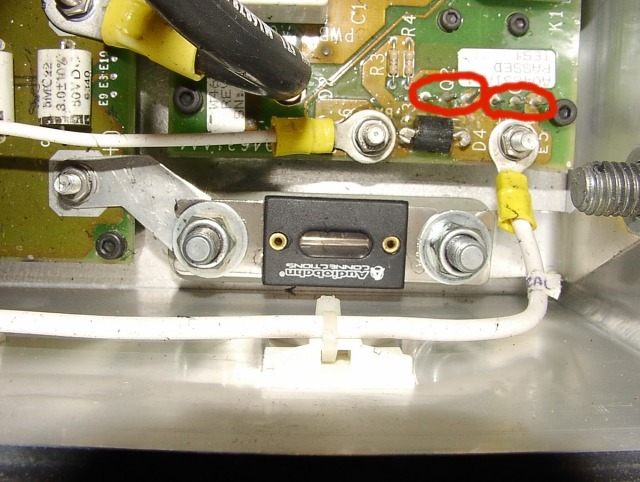 Open the gray junction box on the passenger left fender. 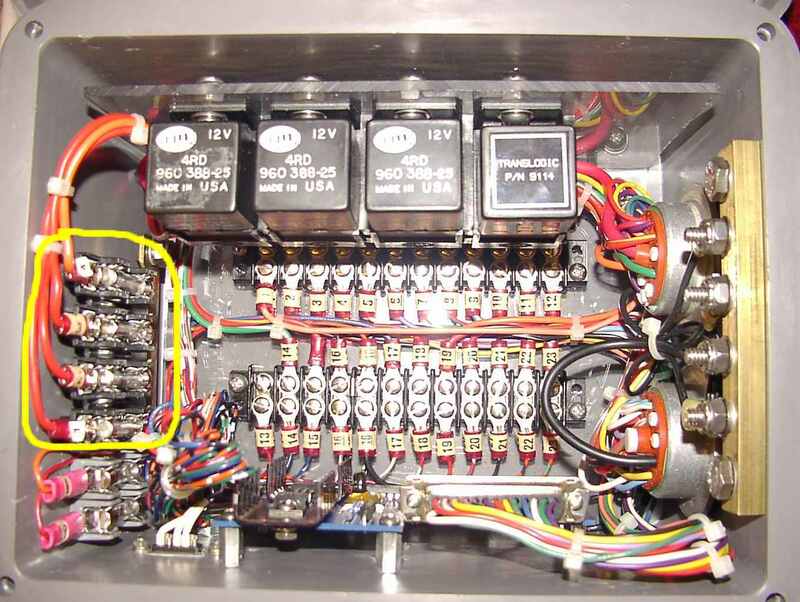 Check with your meter on ohms, across the 4 fuses located inside. Each fuse should be 1/2 ohm or less. Replace as needed. Never trust a visual check of fuses, always measure them. 3. Remove the aluminum top to the Dolphin control system with a 3mm allen wrench. Absolutely do not let any crap fall onto any of the 3 Dolphin boards. These parts are not available new, anywhere on the planet. 4. Check visually for any smoked or blown up parts on all 3 boards. Consult the US Electricar group for repair possibiities. 5. Check the charger fets for impedance across the 3 pins of each fet. Any combination of pins should show a couple meg ohms minimum resistance. 6. Check the 100 amp DC to DC output fuse in front of the charger with your DVM. It should read less than 1/2 ohm. If it reads higher or the fuse can be seen to be blown thru the glass window, then replace it. ANL100 is the part number. $1-$5 each on the web. 7. Check the rest of the fuses: DC to DC board fuse, Main Board fuse, 120vac fuses, with your meter set to ohms. Replace as neccessary. Write down which ones were blown. 8. For a sanity check, place a straight edge across the microswitch in the back left corner of the Dolphin and listen to see if it clicks. If this switch is open, the Dolphin will never boot up. 9. Warning!! Pack voltage exposed in this next step! Remove connector J2 (largest) from the left side of the Dolphin. Make sure your master pack switch is set to 'ON', making it hot. Check that there is pack voltage (~300+ volts) from pins B(large) and A (small). B and A are connecting pack voltage to the precharge resistor. 10. 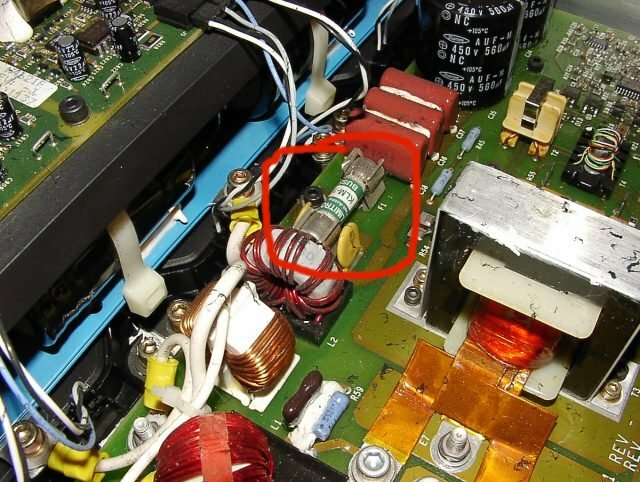 Do you see the little neon light on the left side of the main board just ahead of the huge electrolytic cap? It should have a doughnut of white silicone goop around it. 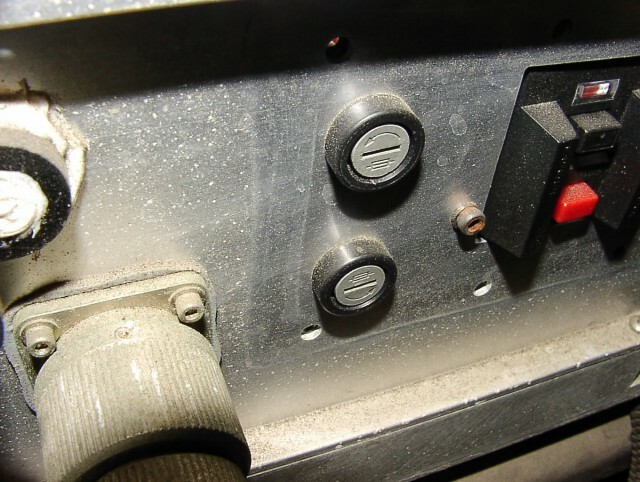 With the main board plugged into all of it's connectors, 12v aux battery connected, and the microswitch is depressed with a piece of tightly stretched duct tape, plug the power cord into the 120vac outlet in your fuel filler door. That neon light should glow. It may glow and then go out. So make sure you can see it when ac power is first plugged into the truck. Watch for smoke. Unplug the AC power as soon as the test is over. 11. Look at the center board in the Dolphin. It's the DC-DC converter. 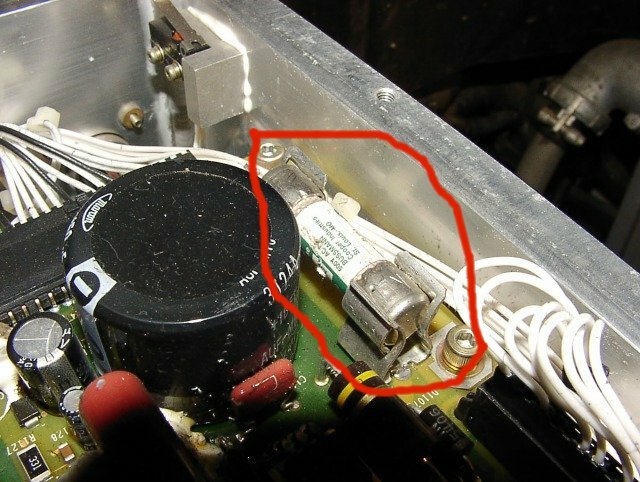 There are 4 big resistors behind the transformer. They should not be darkened or colored. They are 100 ohms each. They are paired up in parallel. So the value measured for each pair is 50 ohms. Any value higher than 50 ohms means there is a bad or damaged resistor. 12. The minimum pack voltage for booting up the Dolphin is 270vdc on the trucks and 260vdc on the cars. These are bare minimums. Try to get your pack to 300v before beginning any testing. This checklist is owned and operated by Mike Phillips.